Now you can make professional looking boutique hair bows in the hoop! The bow is made completely in the hoop, then un-hoop it, cinch it in the center and wrap a knotted bow around it. We'll show you how! Made to fit the 4x4 and 5x7 hoops. Please see the description below for additional design information. 5 sizes of Boutique Hair Bows included with your purchase. Now you can make professional looking Boutique hair bows in the hoop! ...is this bow too big for my head 5.50 inch bows! Stack smaller bows on top of bigger bows for the ultimate in hair bow cuteness! Stack a Boutique Hair Bow on top of a 4 inch Surround A Bow (made in the hoop and sold separately). (Santa belt button cover sold separately). Ribbon ends both down or one tail up/ one end down--we'll show you how! 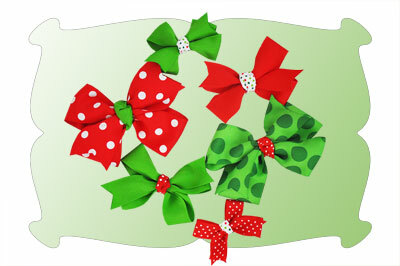 The Boutique Hair Bow designs are made to fit the 4x4 and 5x7 hoop size. The bow is made completely in the hoop, then un-hoop it, cinch it in the center and wrap a knotted bow around it. As always, very detailed, step by step PDF instructions with helpful how to photos are included. Use 1.5 inch ribbon to make a 5.50 inch hair bow. Use 1.5 inch ribbon to make a 4.00 inch hair bow. 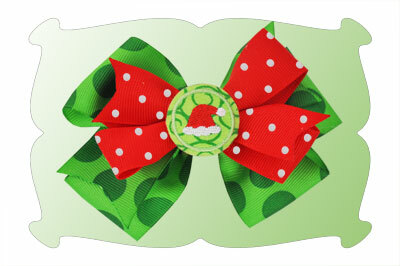 Use 7/8 inch ribbon to make a 3.50 inch hair bow. 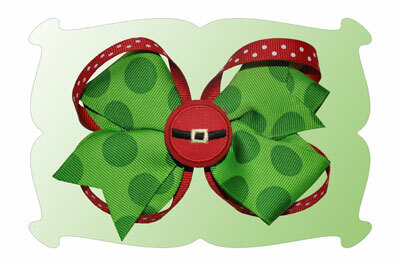 Use 7/8 inch ribbon to make a 2.50 inch hair bow. 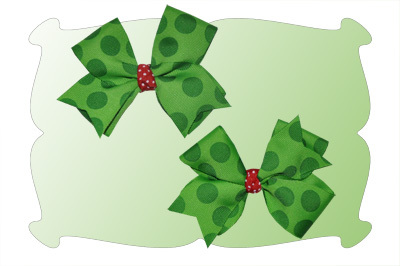 Use 5/8 inch ribbon to make a 2.50 inch hair bow. 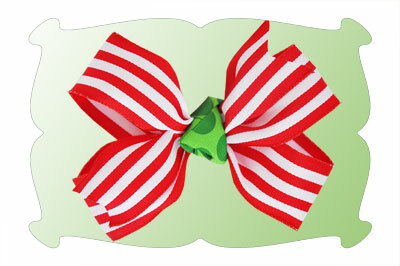 5x7 Hoop: Use 1.5 inch ribbon to make a 5.50 inch hair bow. 4.16 x 6.60. SC: 428. 5x7 Hoop: Use 1.5 inch ribbon to make a 4.00 inch hair bow. 4.16 x 4.85. SC: 415. 4x4 Hoop: Use 7/8 inch ribbon to make a 3.50 inch hair bow. 2.87 x 3.87. SC: 309. 4x4 Hoop: Use 7/8 inch ribbon to make a 2.50 inch hair bow. 2.87 x 2.87 inches. SC: 301. 4x4 Hoop: Use 5/8 inch ribbon to make a 2.50 inch hair bow. 2.25 x 2.71 inches. SC 266.